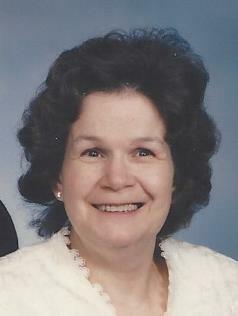 Anita R. Anderson, 79, passed away March 15, 2019. She was born in Akron on November 1, 1939 to the late Arthur and Ada (Cornell) Smith, was an Ellet High School graduate and retired from Summa Akron City Hospital with 25 years of service. Anita was preceded in death by her son, David Franklin; granddaughters, Suzzana and Autumn; great-granddaughter, Marybeth; and sister, Alice. She is survived by her husband, Robert “Glenn”; children, James (Staci) Armstrong and Lynn (Roy) Brumley; 9 grandchildren; 25 great-grandchildren; brother, Allen (Mickie) Smith; and sisters, Ann Melvin and Audrey (Jerry) Scalf. The family would like to thank her angels from Maplewood Senior Living in Cuyahoga Falls. Calling hours will be held on Wednesday, March 20, 2019 from 5 – 7 p.m. at the Eckard Baldwin Funeral Home and Chapel, 760 E. Market St. Private burial in Buckhannon, WV. In lieu of flowers, the family requests donations be made to the Susan G. Komen Breast Cancer Foundation in memory of Anita.